Subject : The regional resources management, with Rhône-Alpes as test-region. 1. 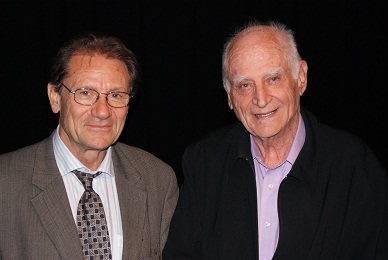 Launching of the Michel Serres Institute for resources and public goods. 2. Refining the Institute’s missions and targets : participants contribution with focus on key-ideas, variables / indicators and tools / methods. The Institute without walls is a partnership of various programs associating a diversity of disciplines. The list is presented at the end of the document. Aim : Challenging the conceptual frames on which nowadays agendas are set on issues such as climate change, energy, biodiversity, agro-food security, various resources. Knowing that resources are at the hart of all our environmental and societal issues and conflicts, we aim at setting up a coherent architecture and priority picture to guide further thinking and action towards a more global and integrated resources security. 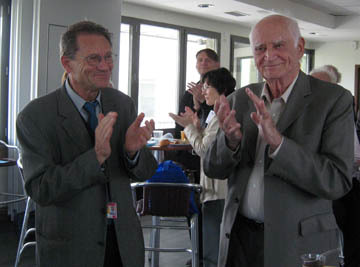 27 Sept, lunch session Bon anniversaire, Michel Serres ! Aim : Generate tools for the real-time metrics of regional resources and their dynamics / fluxes, in tight connection with evolving legal, normative, and financial contexts and instruments. (1) Why, what and how to measure ? Inventory of necessary expertise and experts. (2) Data bases and other tools (platforms, programs) on natural resources : what we have and what we need ? Workshop aim : Presentation of the main lines of the ANR application, section Agrobiosphere, to main stakeholders within the Rhône-Alpes region (Agriculture chambers, professional organizations, civil society organizations, ). Conclusions : Who does what next ? Each item will be prepared ahead of time and shared with the participants as to be efficient during the work sessions.